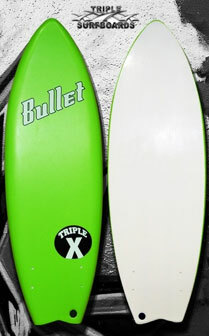 The Triple X bodyboard is the ultimate board for the beginner rider. The Prowler comes without all the frills and is for those people who are serious about getting into the water to take on bodyboarding for the first time. The board is also great for kids getting in the water learning, it will give them a lot of float and ensure that their first experiences in the water will be good.  Deck: 8lb XPE decking is a denser, more compact foam that absorbs very little water and is therefore very durable.  Slick: The HD Channeled Slick is a hardened slick material that is durable and fast, yet still super responsive.  Tail: The Crescent Tail provides superior control and hold on the wave face while also allowing for ease of rail to rail transitions and release from carves and spins.  Channels: Graduated Channels will greatly enhance control and drive, ensuring the rider has maximum command over their board when bottom turning, trimming and transitioning from rail to rail. The new Black Ball Beater from Triple X turns an ordinary day at the beach into an epic day of shredding. 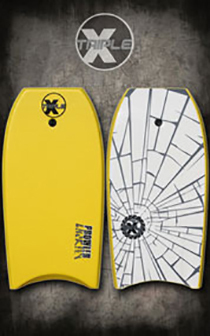 Surf it, bodyboard it, skim it, its the most versatile board you can buy. Got a ski boat? Wakesurf it. These can be ridden with or without fins. Everyone can have fun on one board! Super Sport Soft Top Surfboards 5'10/7'0/8'0/9'0: This Super Sport Soft Top surfboard features a higher performance template, rocker and rail contour to make this an easy board to learn on but also appeals to the intermediate level surfer. 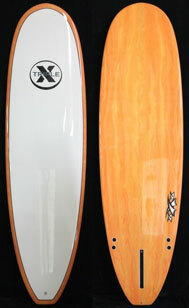 Triple X 6' 4'' Epoxy Shortboard Surfboard: This board was designed with strength and durability in mind. It has Carbon wrapped rails and bottom. This board still maintains the light weight and float of an epoxy board. The Carbon makes the board unrivaled in strength over traditional cloth. 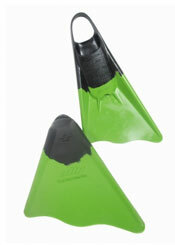 The quad fin set up provides more drive and speed projection since both fin sets are working together close to each rail without the added drag of a center fin. The bottom concave runs from a single to a double to a v concave in the tail. This gives the board an ultra responsive ride. 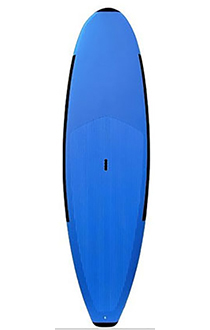  Length 6' 4" Width 19 1/2" Thickness 2 1/2"
Triple X Epoxy Funboard Surfboard 6'10/7'0/7'6: The funboard is one of the most popular boards in the water. 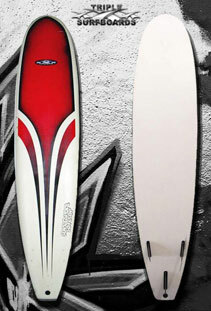 Its quicker and more agile down the line, yet the wide nose makes easy work of catching waves on the smaller days. This is the perfect starter board for smaller beginners or anyone just looking to have a bit more performance and quickness than a mini longboard or longboard. Triple X Epoxy Superwide Surfboard 7'0/8'0: The Superwide's added width and thickness allows you to surf shorter without the loss of flotation or glide. 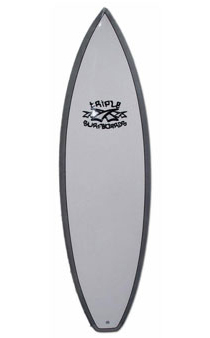 This board features super volume and super performance in a shorter template longboard style board. You can go up to a couple feet shorter than the longboard you normally ride and still maintain float with a huge increase in quickness and performance. 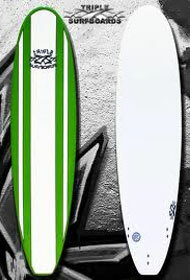 Triple X Epoxy Longboard Surfboard 9'0: This board was designed from the tried and true old school longboard. This template provides a little extra volume and a forgiving outline so you can paddle into anything. This is a great starter board for the beginner, or a surfer of any skill level looking to get into longboarding. A tremendous value for the money. You'll love the ride on this one!!! 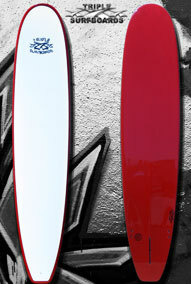 Michael Dolsey Stand Up Paddle Board 10'8 (or similar): SUP is made to perform in flat and Ocean surf. A SUP with broad capabilities. Hyperflex Access Wetsuit: The completely redesigned HyperFlex ACCESS is an entry-level suit that incorporates all of the features that you need for moderate water temperatures, UV protection, and windchill blocking. Features very durable flatlock seam stitching, a standard length back zipper, and indestructible kneepads. You won't find a better multi-sport wetsuit even close to our price! 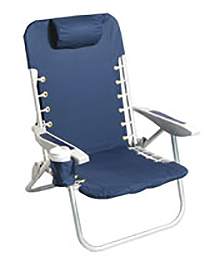 All chairs come with shoulder straps for easy carrying and chairs have extra pocket for cargo. Comfortable to transport with a bike or on foot! 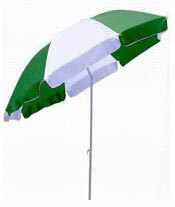 All umbrellas come with shoulder straps for easy carrying and chairs have extra pocket for cargo. Comfortable to transport with a bike or on foot! Coolers come in 28 and 70 quart rollers - ice packs available as well! 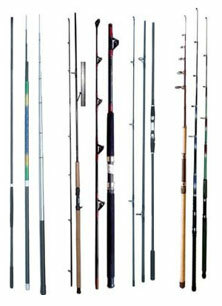 Fishing Poles 6'-7'/10': From kid size to surfcasting. All fishing poles come with a lure or rigged hook system. Bait available as well.